A few date palm seed were uncovered by Professor Yigael Yadin during his excavation of Masada. Six years ago one of these seed was planted at the Arava Institute in Israel. The seed sprouted, and has grown into a nice little six year old palm. Yishai Fleisher of EyeOnZionTV interviews Dr. Elaine Solowey at the Arava Institue about this seed and plant. In addition to the information about the palm, I especially like the way Dr. Solowey refuses to fall for some of the speculative journalistic questions. The photo below shows one of the modern date palms on the southwestern shore of the Sea of Galilee. 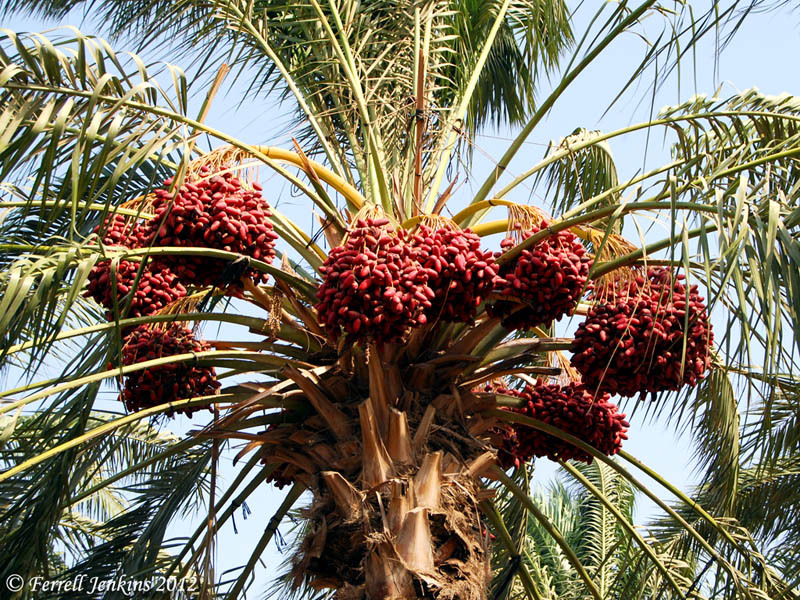 Date Palm growing near the Sea of Galilee. Photo by Ferrell Jenkins. Jericho is mentioned as “the city of palm trees” in Deuteronomy 34:3. The righteous are compared to the palm tree. This entry was posted in Archaeology, Bible Lands, Bible Places, Bible Study, Culture, Israel, Old Testament and tagged botany. Bookmark the permalink.